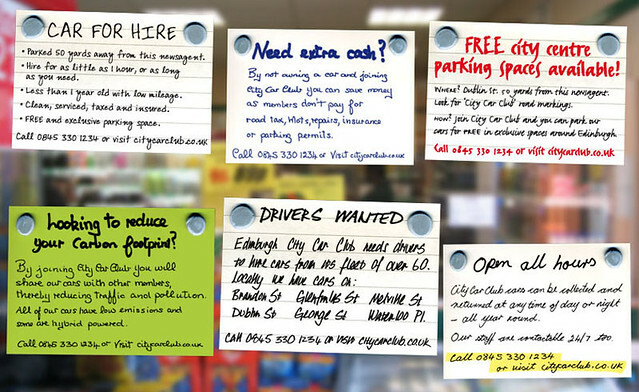 These postcards for City Car Club were nominated in the category ‘Best Use of Shop Window Postcard Space’ at the Chip Shop Awards 2008. Each postcard communicates a benefit of using City Car Club. The award ceremony for the Chip Shop Awards 2008 was held in Edinburgh for the last time before moving to London where the awards bash as taken place ever since.